This is a regal partnership between emerald and gold. The emeralds are from Zambia. 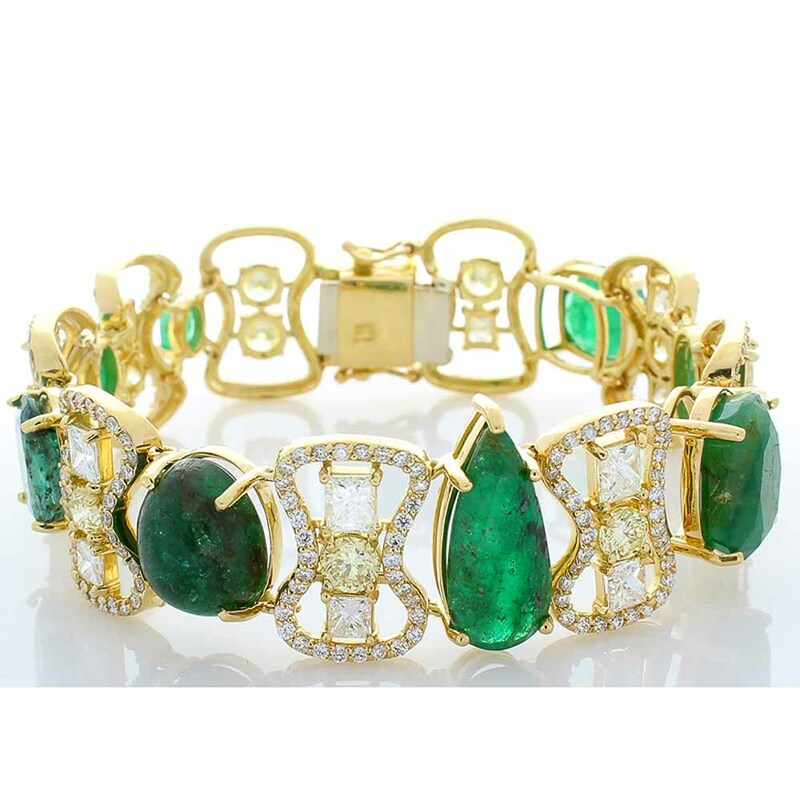 Featured is 30.30 carats of grass green emeralds displayed in 9 stones; expertly set in a whimsical pattern by separated hourglass frames of gold and diamonds. The light yellow diamonds & princess cuts tucked in the hourglass total 6.94 carats. To decorate the hourglasses, 3.72 carats were finally accented with 306 brilliant diamonds totaling 3.72 carats. This bracelet is skillfully crafted from 18k yellow gold, and will definitely catch everyone's attention.